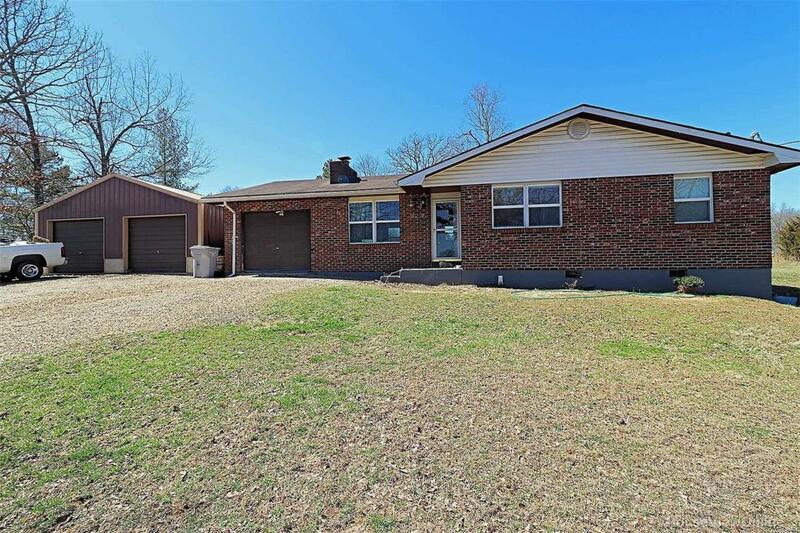 Super sharp brick home on 10 acres beautiful area. Wood Fireplace, Wood furnace, detached 2 car garage. Nice size pond, fenced. Appliances do not stay. Perfect Setting. Hunting, Fishing, gorgeous piece or property. A Definite Must See to Appreciate. There is an old single-wide mobile on the property that is used for storage and not livable.